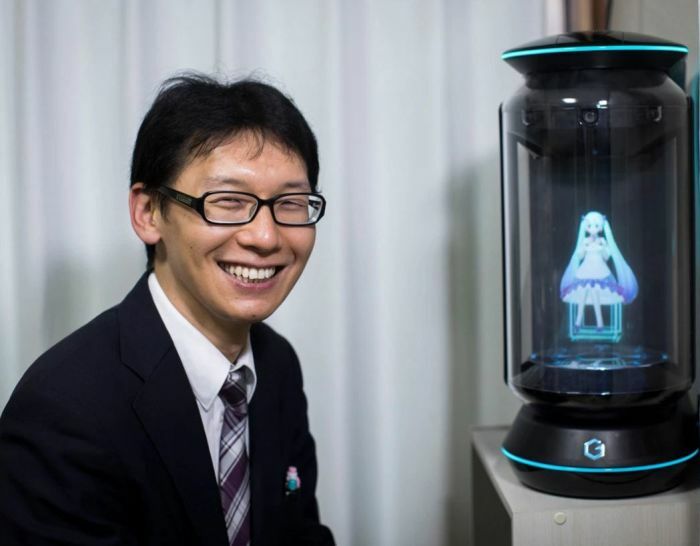 Japan's Akihiko Kondo, a 35-year-old school administrator tied the knot with a hologram of virtual reality singer Hatsune Miku. He told AFP that he had been bullied by females and vowed never to have a relationship with a flesh and blood woman. An anime fan his whole life, he says he fell in love with Miku at an early age. Miku is a 16-year-old girl with blue pigtails and large saucer-like eyes. He keeps her in a floating desktop device at home. 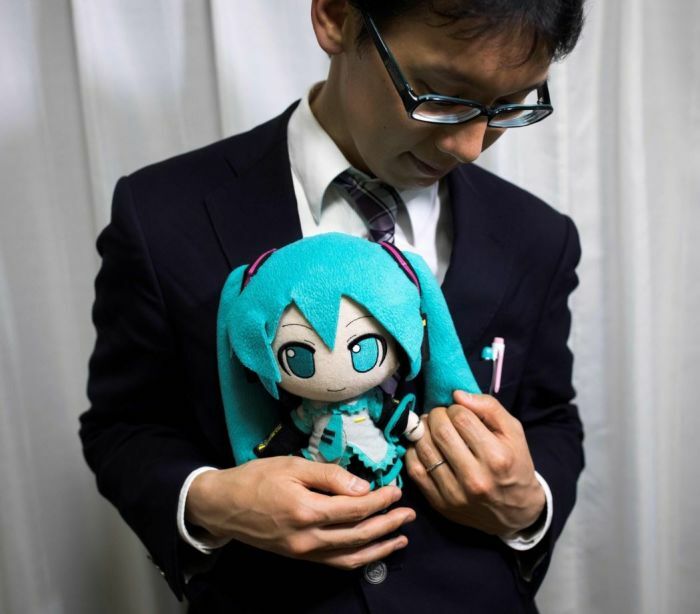 His mother and family refused to attend his wedding to Miku but some 40 guests witnessed his marriage. The event cost him the equivalent of R250 000. Bride Miku attended the wedding in the form of a doll. It does not bother him that the marriage has no legal standing. The company, Gatebox, that produces the hologram device featuring Miku, has issued a "marriage certificate", which certifies that a human and a virtual character have wed "beyond dimensions". He says that he is not alone. Gatebox has issued more than 3,700 certificates for "cross-dimension" marriages. Kondo wants to be recognised as a "sexual minority" who cannot imagine dating a flesh-and-blood woman.